NEWLY LAUNCHED 310X R68 900 from R1500-00 per month Up to 30 kilometers per liter — 2 Year Unlimited Warranty Apply for finance today and own a Zontes ZT310-X. It’s quick and easy! Click HERE TO APPLY NOW! 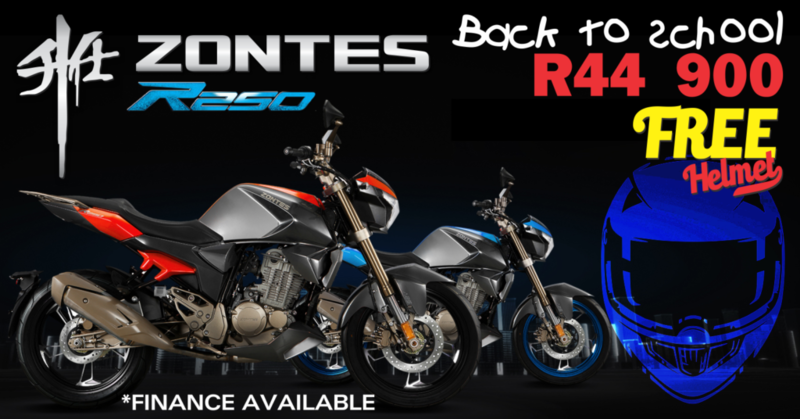 BACK TO SCHOOL SPECIAL Fuel consumption – 33 kilometer per liter Purchase a ZT250-R and receive a FREE helmet. Apply for finance today! Offer ends 31 January 2019 or while stock last. Happy New Year!! Your generosity and support have been the key ingredients to our success. So this New Year we wish to thank you for all the cooperation and hope to continue the association for a long time to come. Kyalami Grand Prix Circuit, Johannesburg. 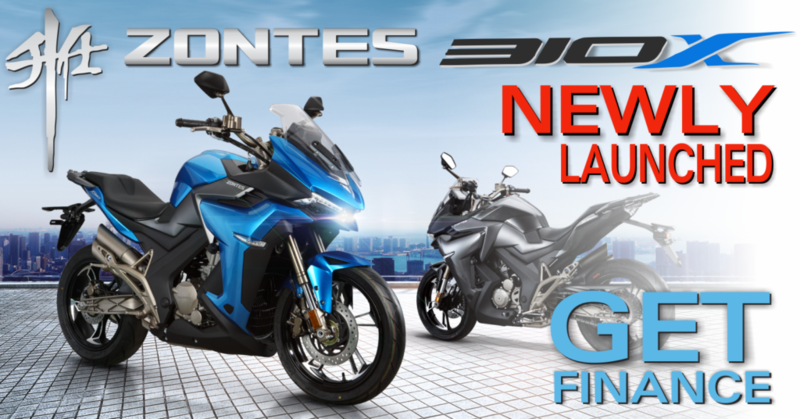 We’ll be exhibiting new motorbikes, which will be available for test-driving around the race track, so don’t miss out!